Please share this email with others who may be interested. Do you have a family member, student or client that has difficulty with communicating needs or wants? With the right resources most people of any age can learn to communicate with others. As CPSH addresses housing needs, we believe the most important word to communicate is "help". CPSH would like you to know about a friend of CPSH, Kathy Kelchner. Kathy has made a career in local public school districts as an expert in autism and has helped thousands of families. She has developed several products that are used by families and professions to help people with autism and IDD communicate. We are most excited about the GOLDEN IDEAS FOR GOLDEN CHILDREN: FAMILY EDITION. It is a book with a USB flash drive with a picture/word system you can customize to the needs of those you are helping. 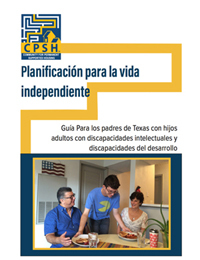 CPSH is using this system as we create more training classes about independent living for individual with IDD and their families. Over the last few months Kathy has been at the same disability resource fairs that CPSH attends. 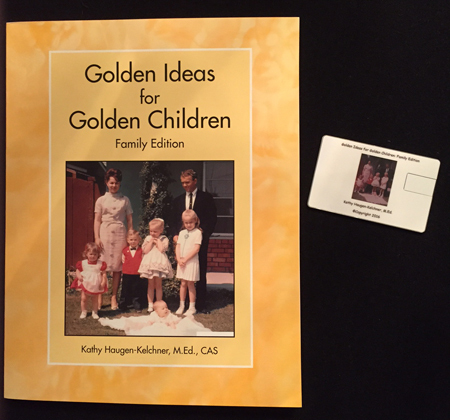 Parents, ISD employees, pre-vocational programs, and Group-home managers have purchased the GOLDEN IDEAS FOR GOLDEN CHILDREN: FAMILY EDITION at these events. Parents, especially say "I need this!" Please take a look here and contact Kathy here. 2017 CPSH projects are underway. As you know, CPSH relies on volunteers to steer the charity. Giving 7our time results in increasing housing options for our children, students, athletes, consumers and patients. And together we provide housing sooner rather than later. Most of the opportunities average about 10 hours per month. Would you please take a look at the opportunities here..
CPSH can only succeed with your help. If you appreciate the importance of what we are doing in the DFW area, please consider donating to CPSH and ask your employer to match the donation.